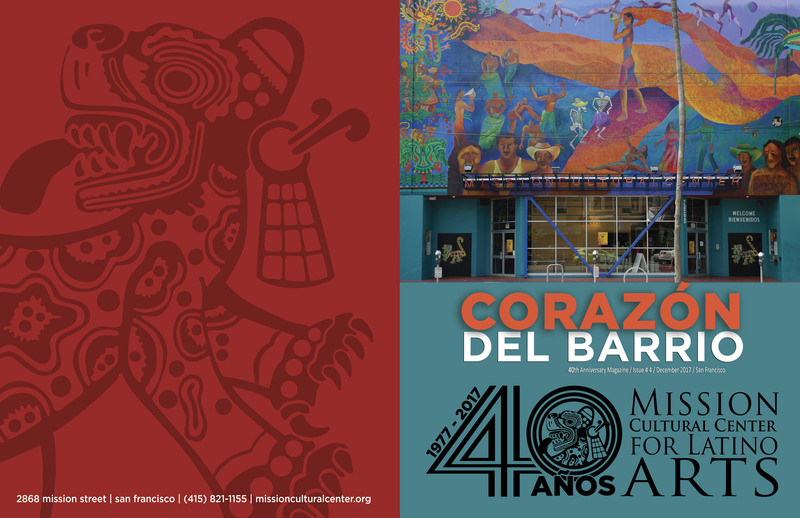 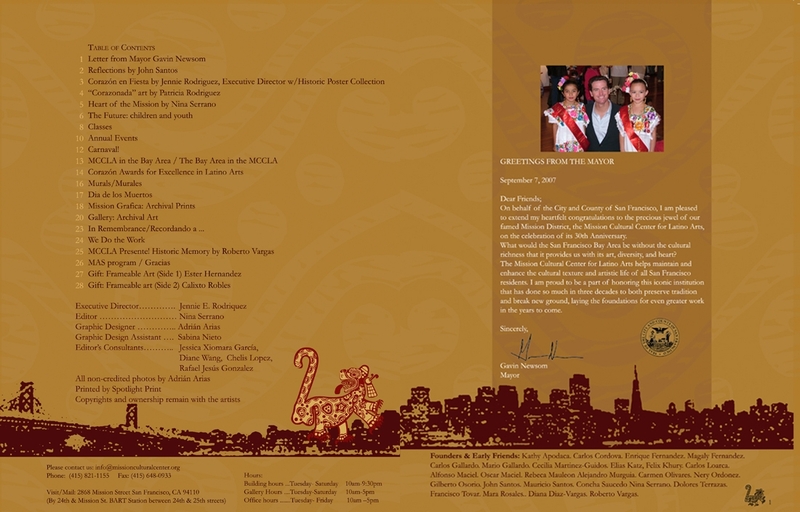 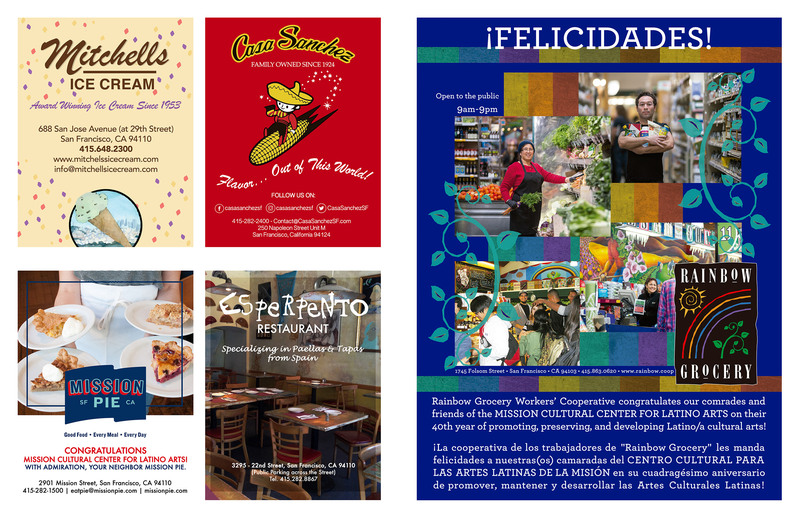 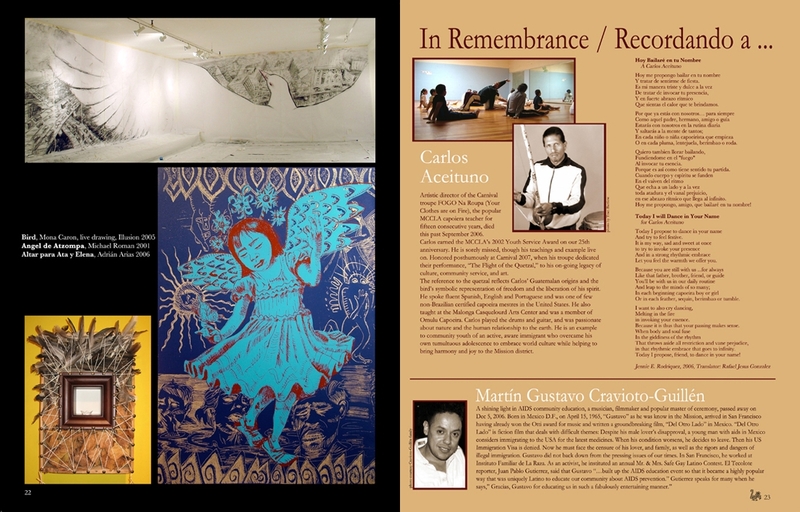 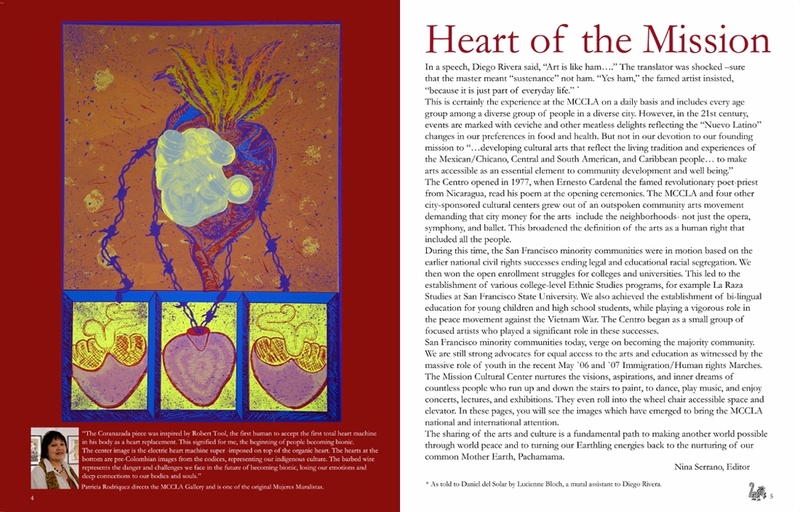 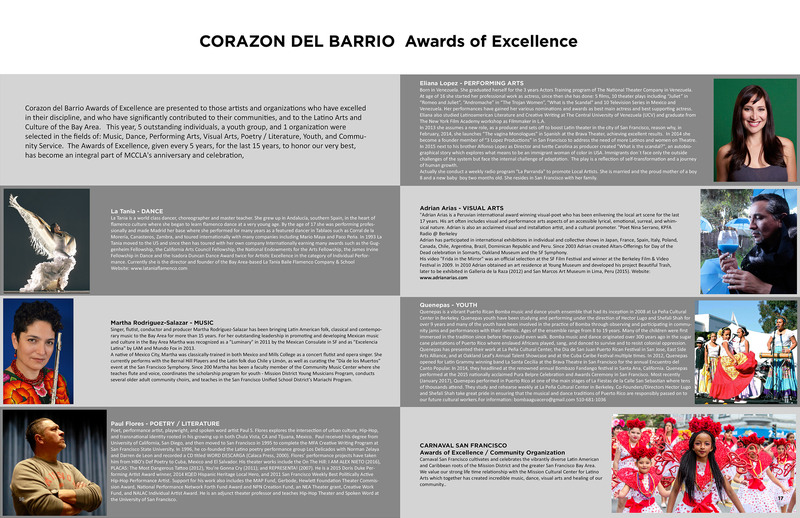 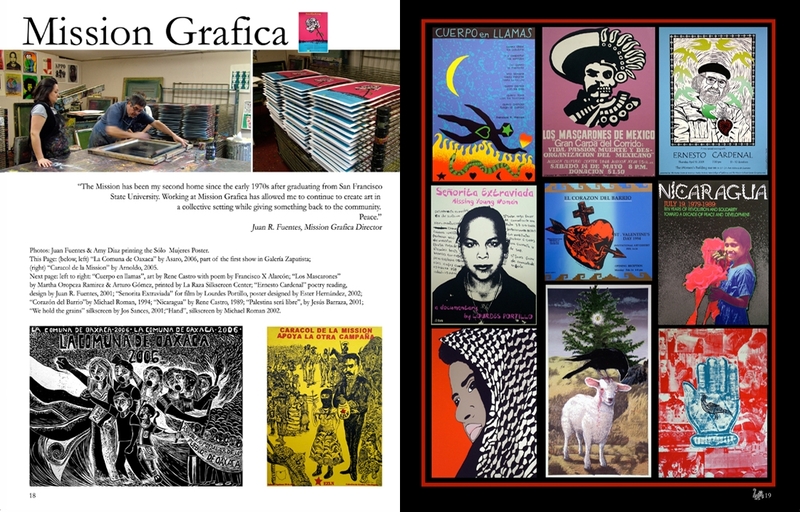 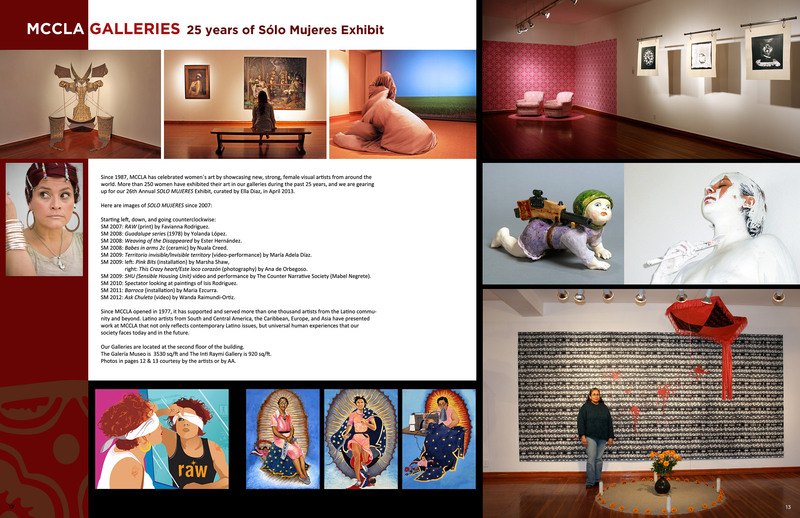 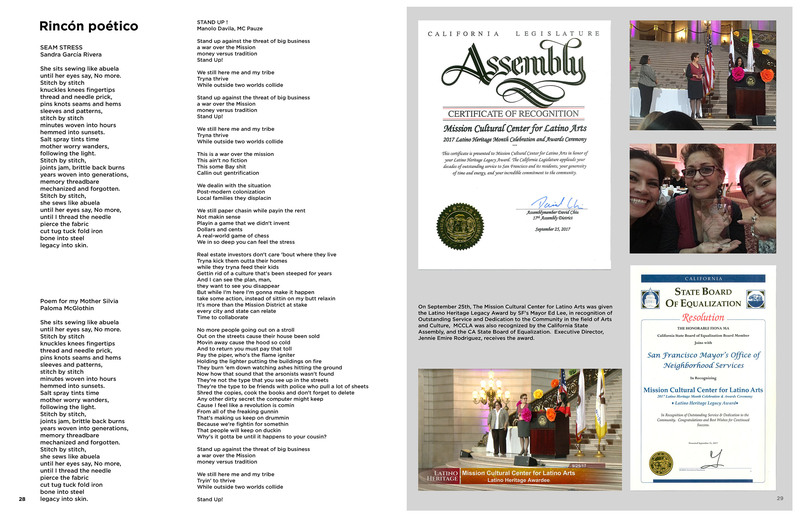 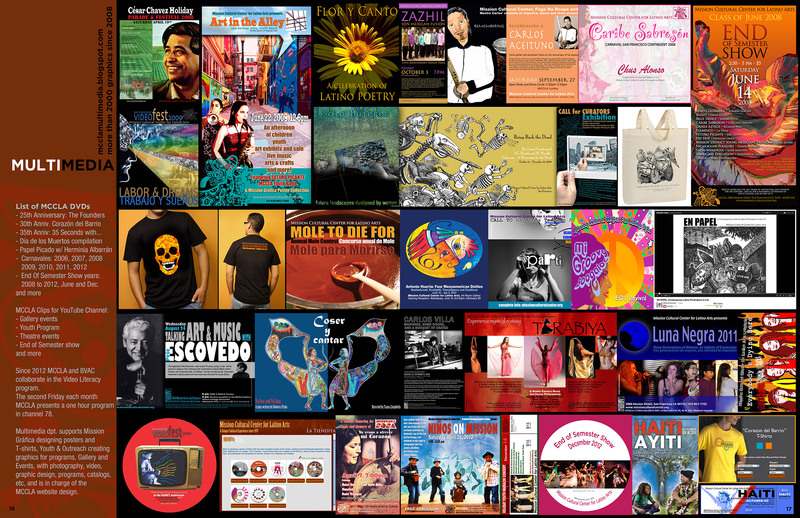 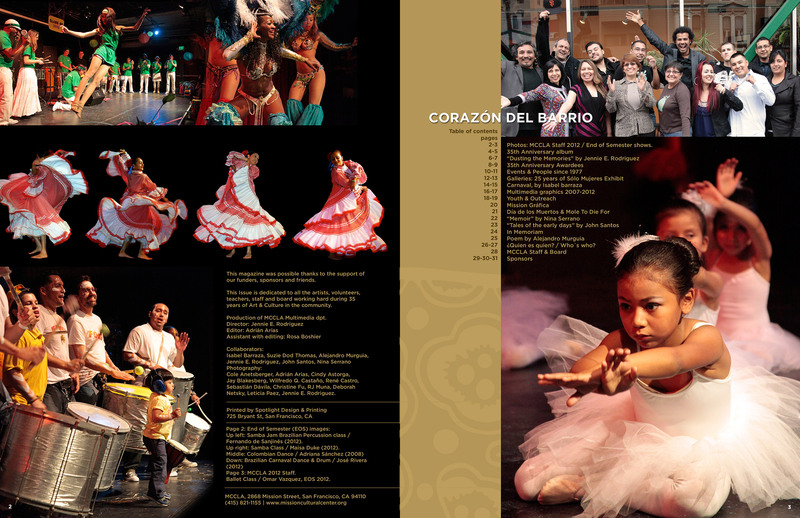 Corazon del Barrio Awards of Excellence are presented to those artists and organizations who have excelled in their discipline, and who have significantly contributed to their communities, and to the Latino Arts and Culture of the Bay Area. 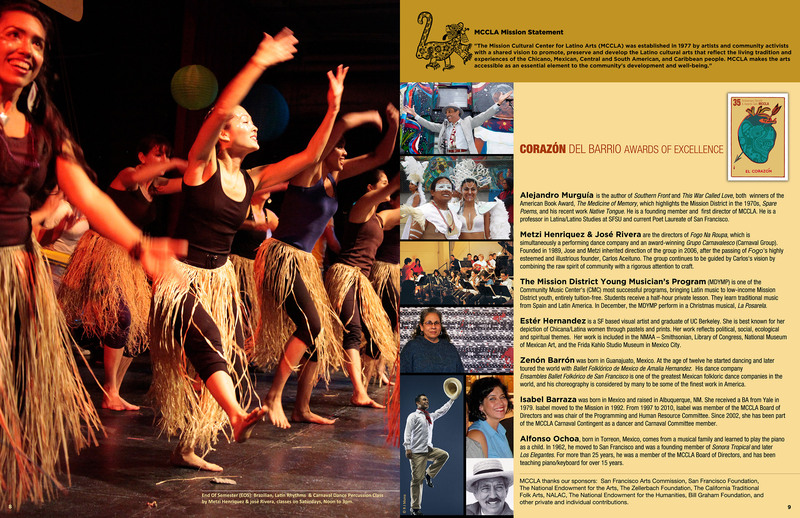 This year, 5 outstanding individuals, a youth group, and 1 organization were selected in the fields of: Music, Dance, Performing Arts, Visual Arts, Poetry / Literature, Youth, and Community Service. 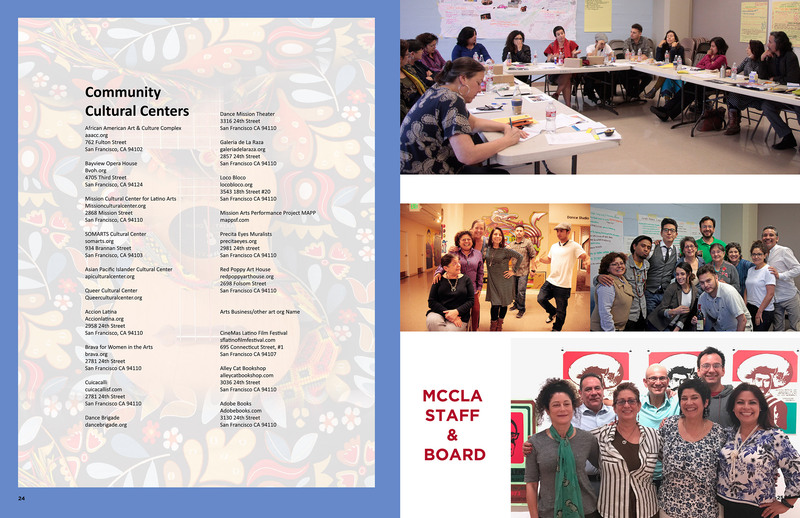 The Awards of Excellence, given every 5 years, for the last 15 years, to honor our very best, has become an integral part of MCCLA's anniversary and celebration. 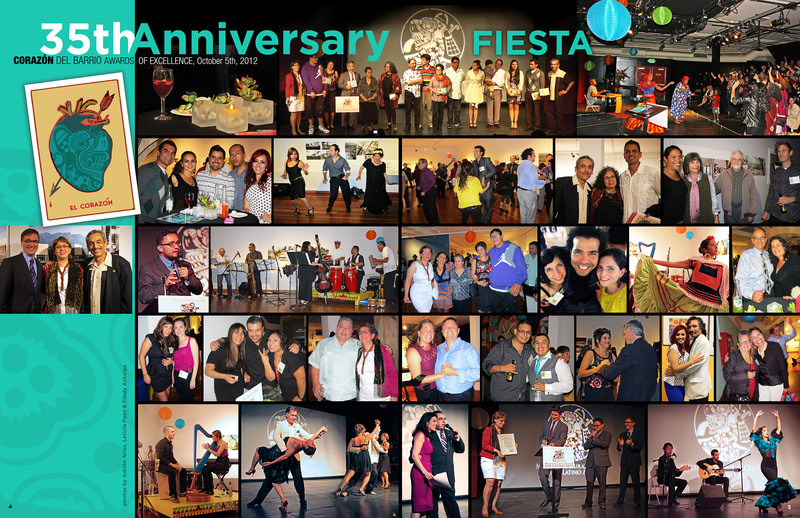 We put the party and YOU came... it was awesome! 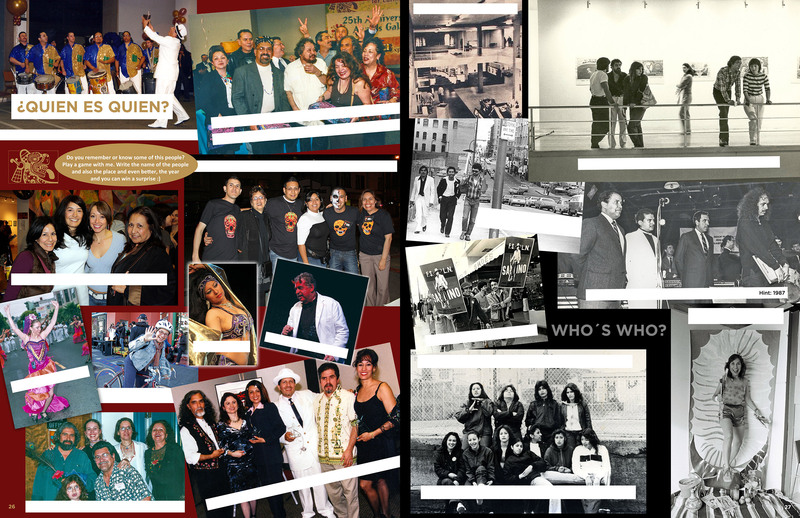 35 years of existence is no easy feat. 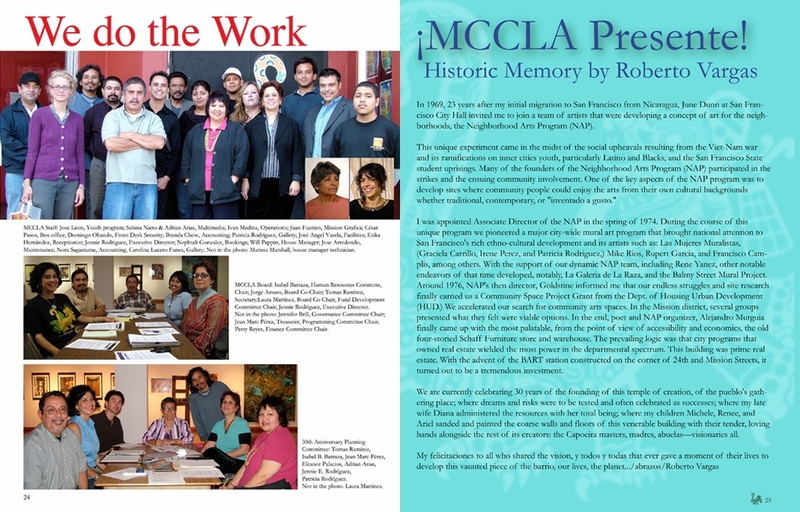 The endurance, commitment and adherence to those original values which inspired the creation of any for which the organization was created, ought to be acknowledged, and yes, celebrated. 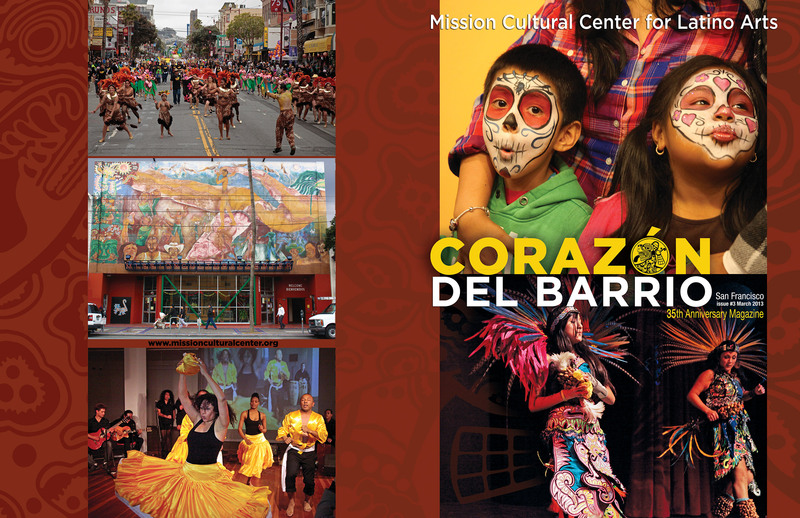 That is why last Friday, October 5th, MCCLA celebrated its 35th anniversary of Arts & Culture in San Francisco’s Mission District with its Corazon del Barrio Awards of Excellence Benefit Gala. 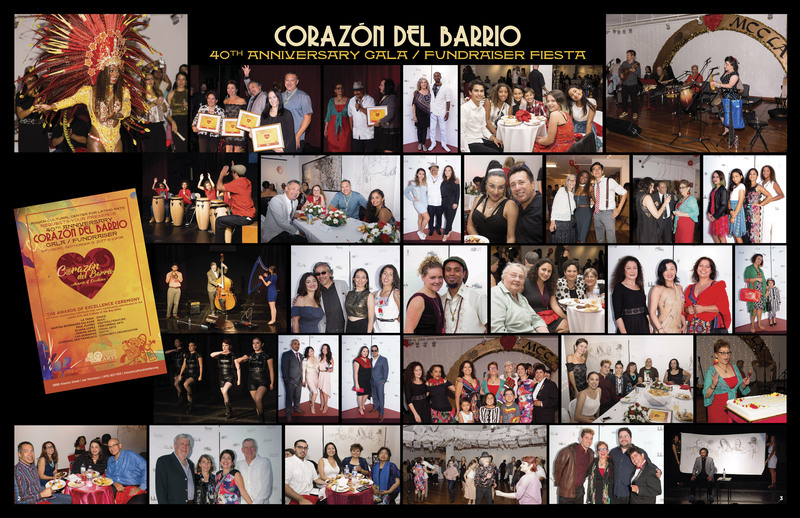 The event brought the community together to honor the excellence and dedication of 5 local artists, a band of young musicians, and 2 very special volunteers. 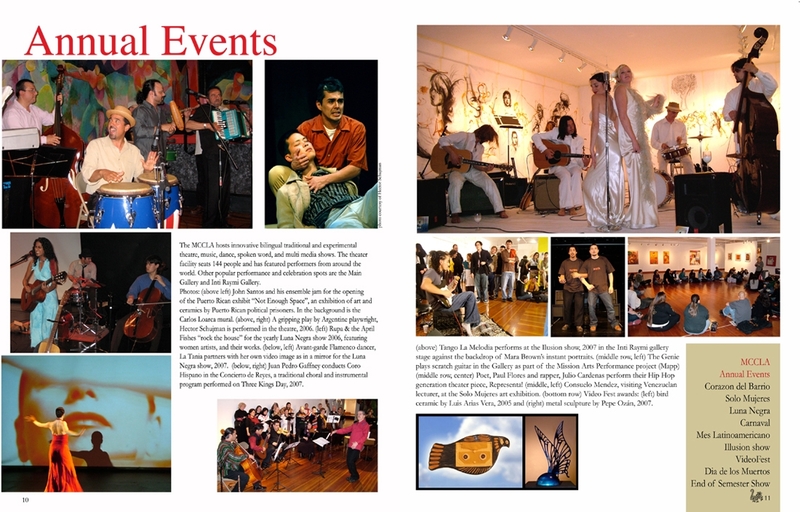 The evening started with a VIP reception in the Gallery, with music from World’s Sync (Amelia Romano & Josh Mellinger). 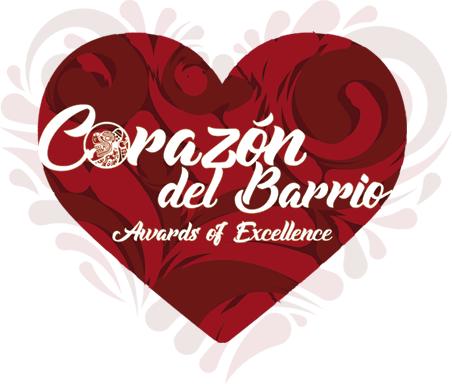 The Corazon del Barrio Awards Ceremony followed right after in the theatre, with Maria Leticia Gomez, Univision’s news anchor, as MC. 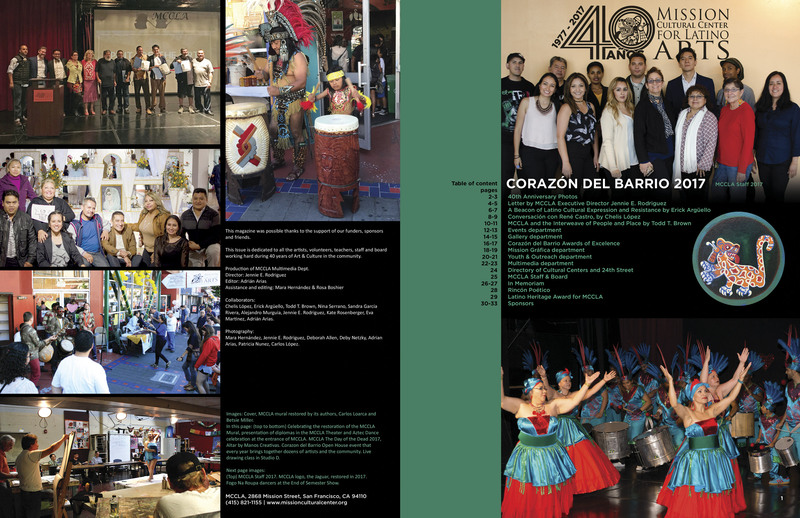 The After Party Pachanga at the Gallery, with Orquesta Adelante was the perfect closure to a great celebration. 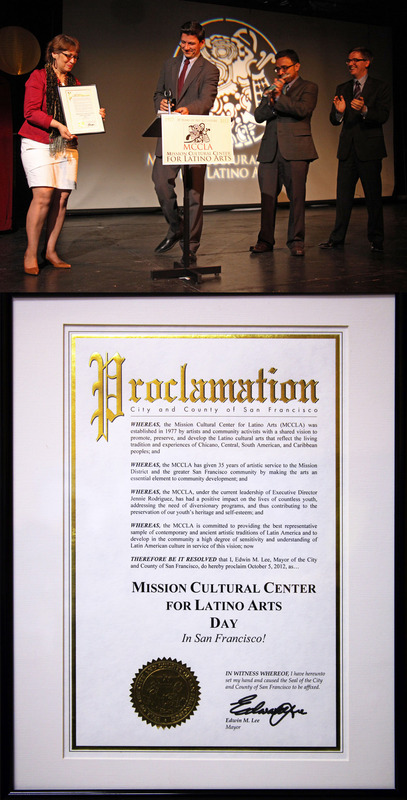 MCCLA Board and Staff thanks all those who came to congratulate our artists and to celebrate our 35th. 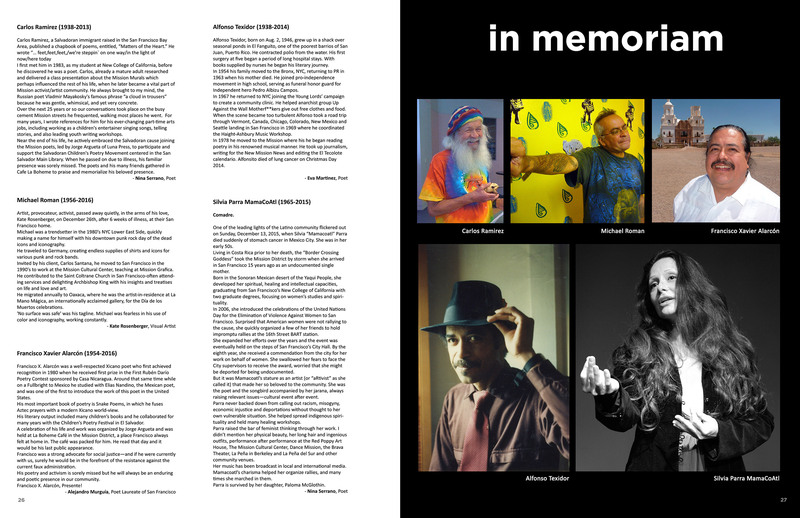 Thanks to those attended the event, and even those who could not make it but whose heart was present, and to those who supported us with their time, donations and sponsorship. 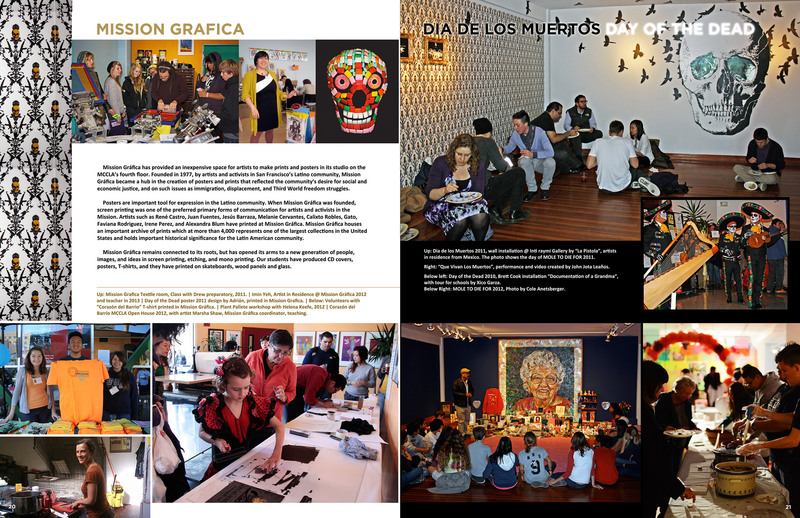 Hicimos la fiesta y ustedes llegaron... fue maravilloso! 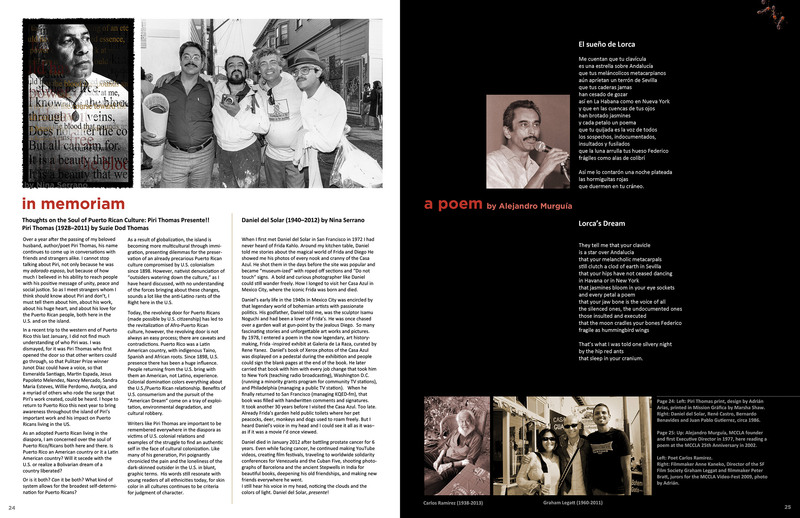 35 años de existencia no es logro fácil para ninguna organización. 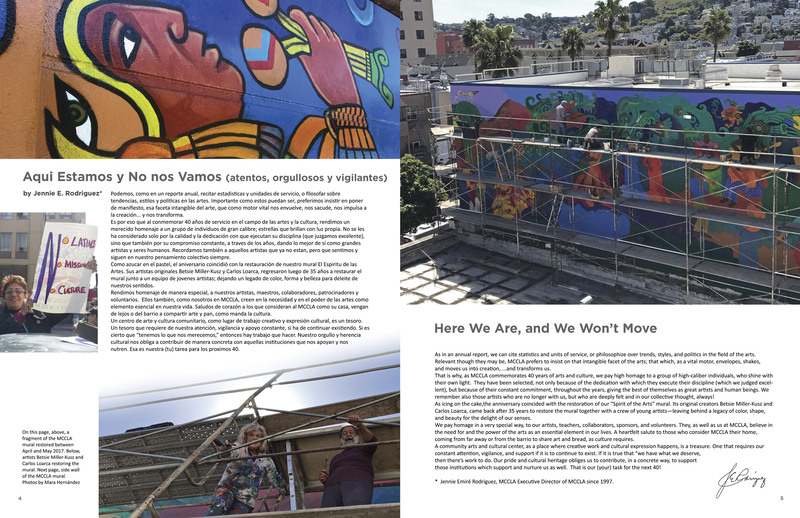 La constancia, el compromiso y la lealtad a su misión y a los valores que inspiraron su creación deben ser reconocidos y ciertamente celebrados. 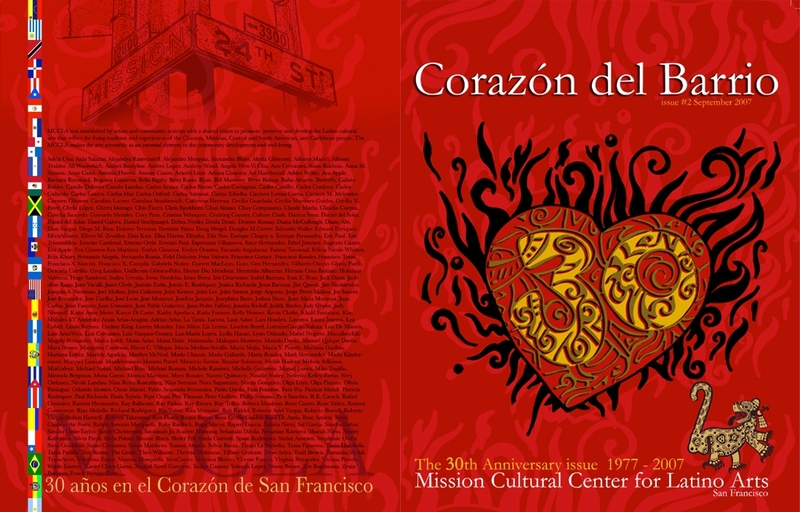 Es por eso que el pasado viernes, 5 de octubre, MCCLA celebró sus 35 años de Arte y Cultura en el Distrito de la Misión de San Francisco, con la gala beneficio, Corazón del Barrio: Premios de Excelencia. 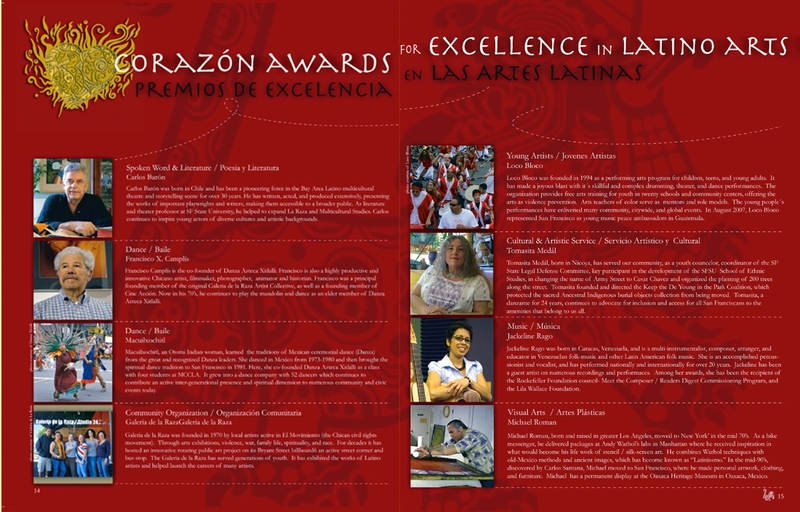 El evento reunió a la Comunidad para celebrar la excelencia y la dedicación de 5 artistas locales, una banda de jóvenes músicos, y 2 voluntarios muy especiales. 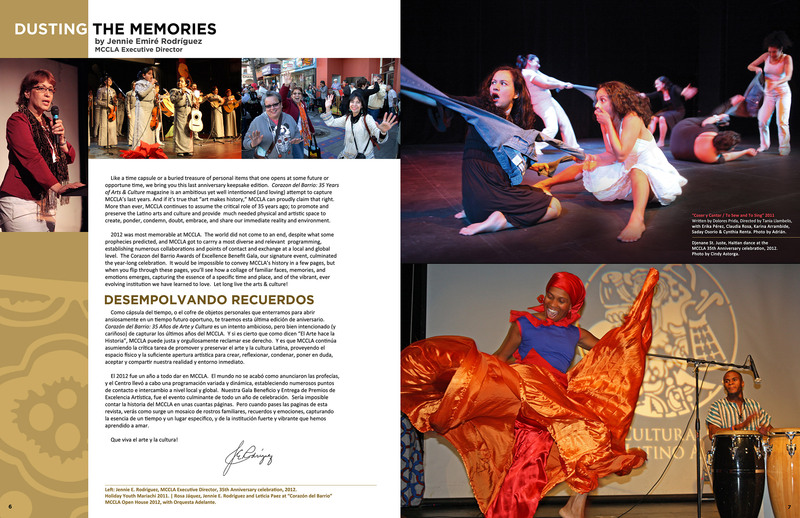 El evento comenzó con una recepción VIP en la Galería, con música de World’s Sync, seguida por la Ceremonia de Entrega de Premios y un espectáculo artístico en el teatro, y culminó en la Galería con una pachanga amenizada por el grupo de salsa Orquesta Adelante. 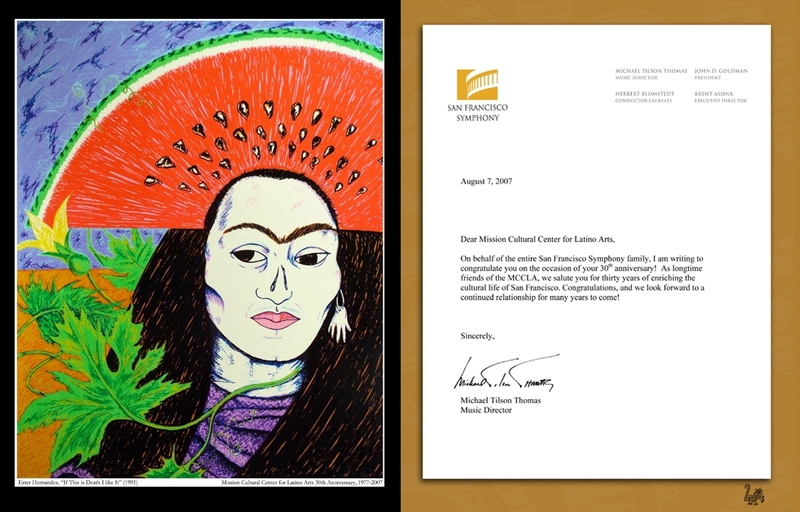 La Mesa Directiva y el personal del MCCLA agradecen a todos aquellos que vinieron a felicitar a nuestros artistas y a celebrar con nosotros los 35 años. 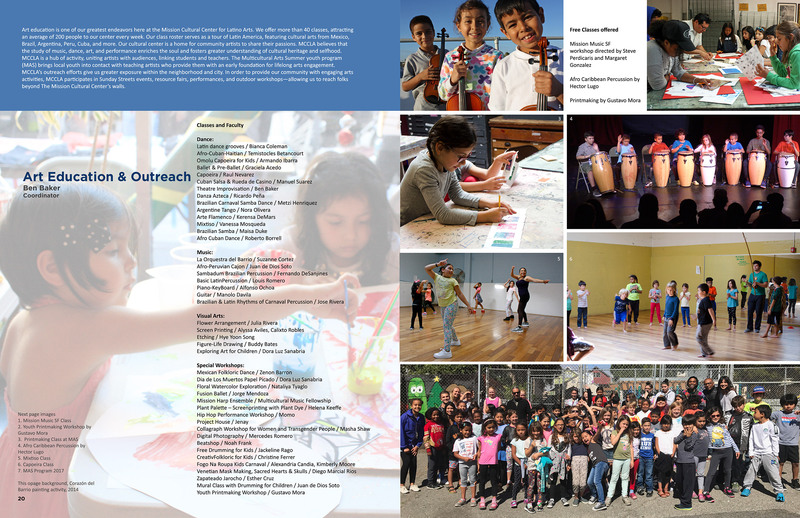 Gracias tambien a todos los que no estuvieron, pero que de una manera u otra nos apoyaron con su tiempo, donaciones y auspicio. 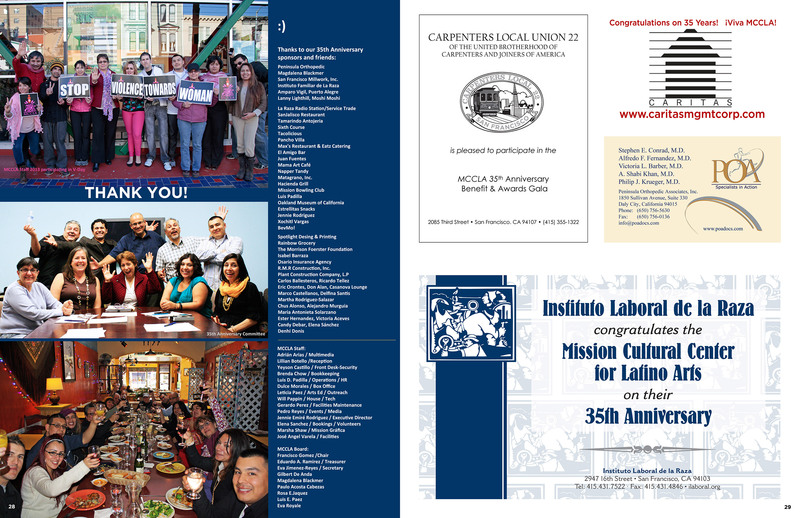 This special keepsake publication highlights the winners of the 35th Anniversary Awards of Excellence. 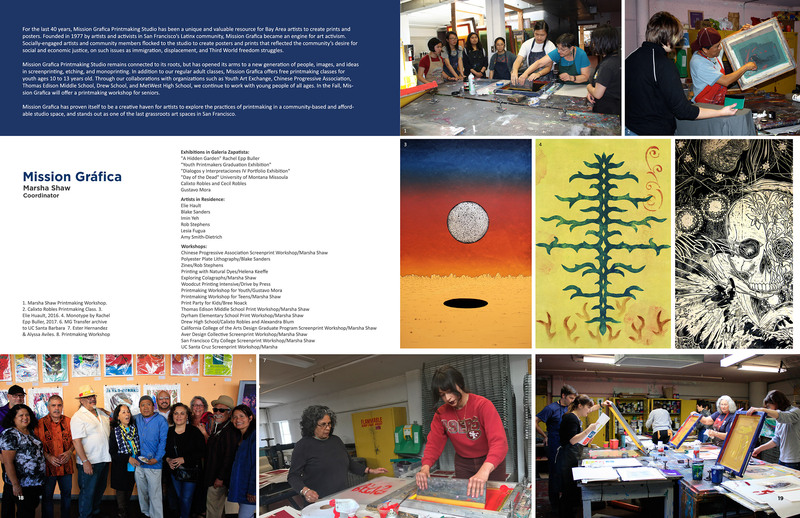 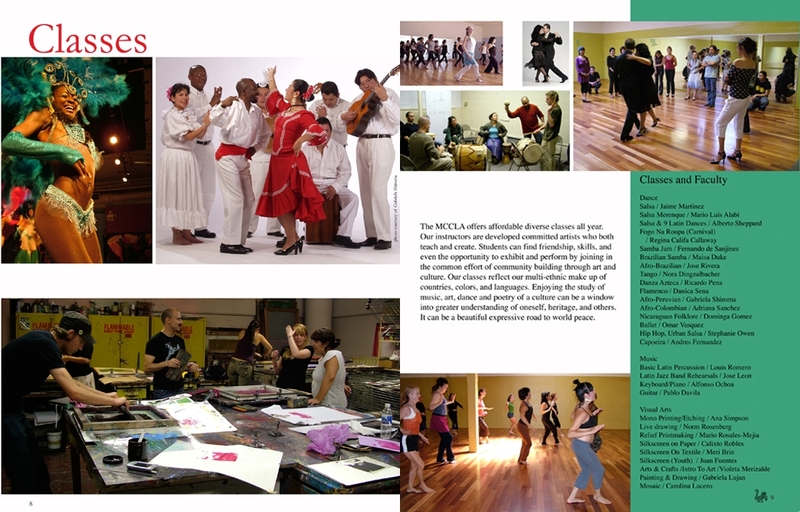 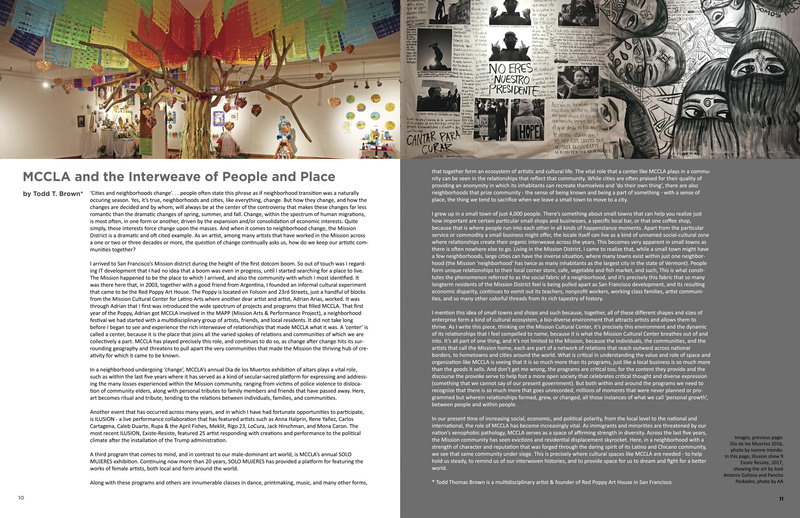 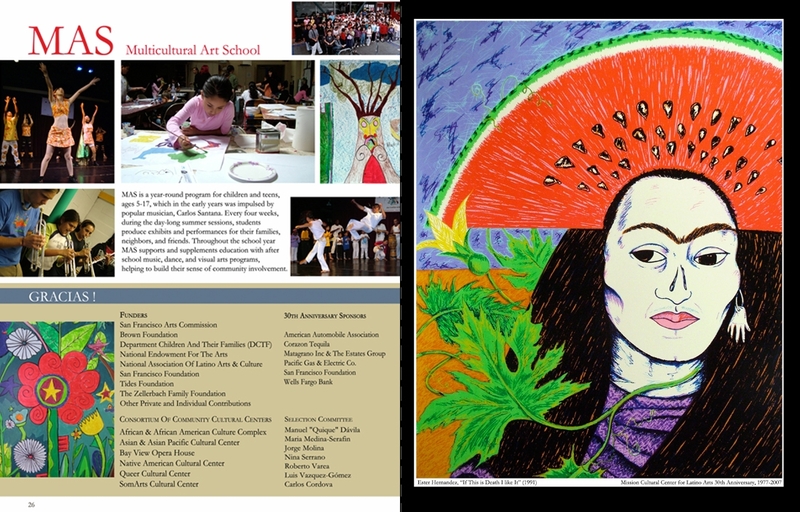 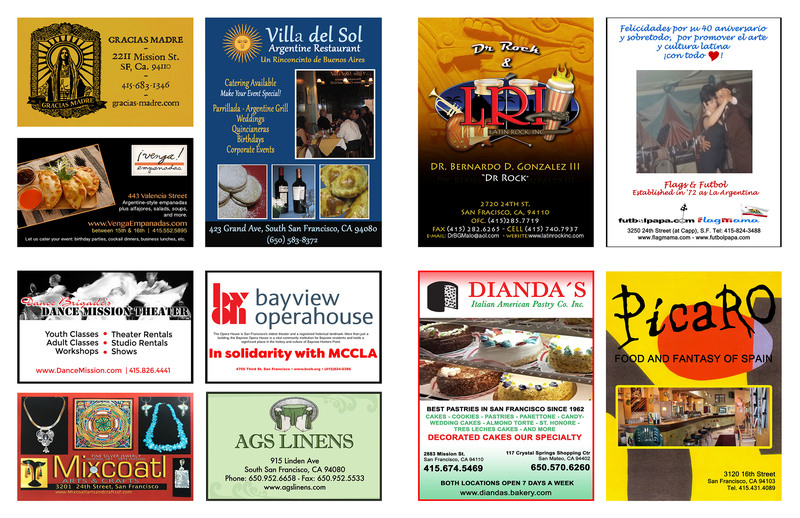 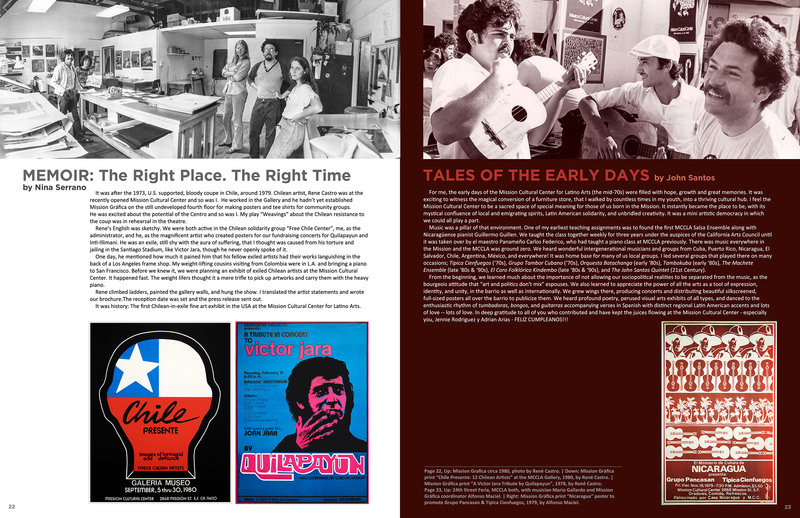 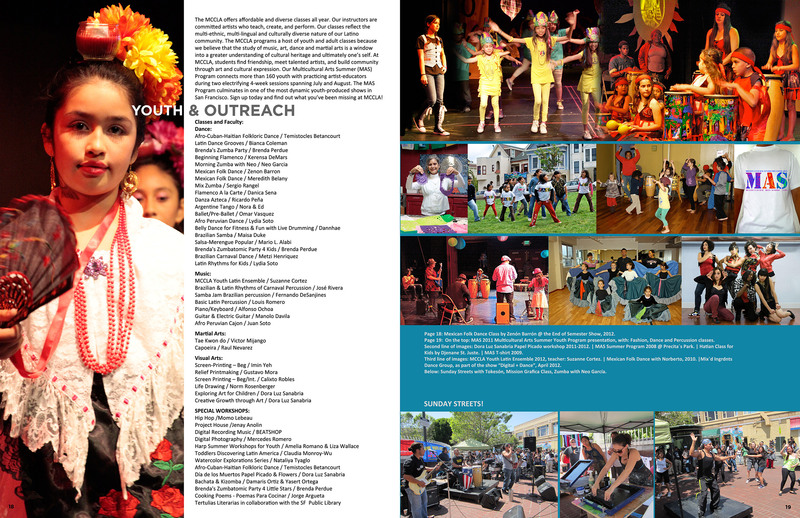 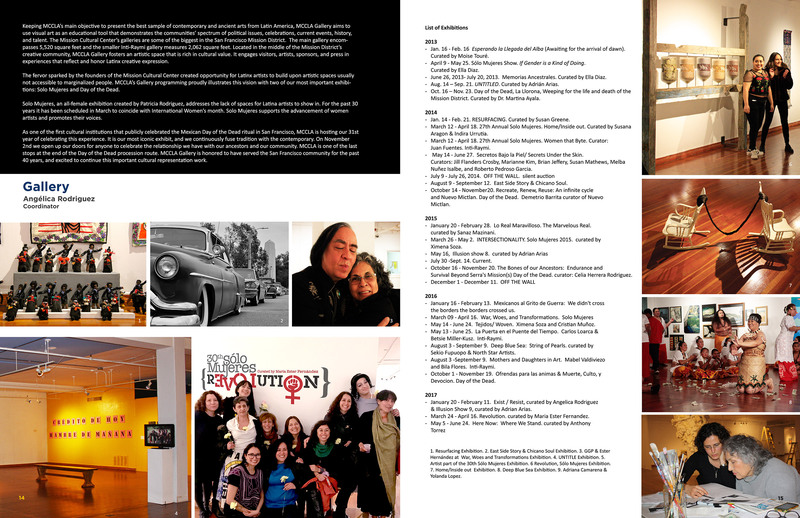 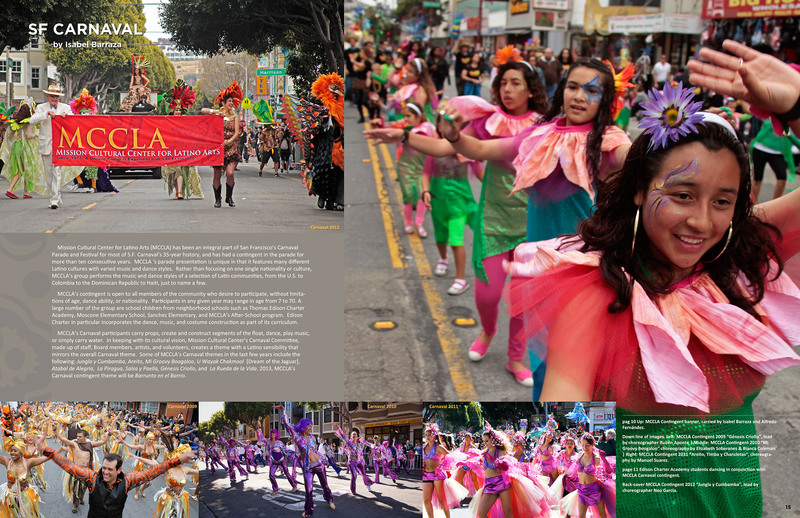 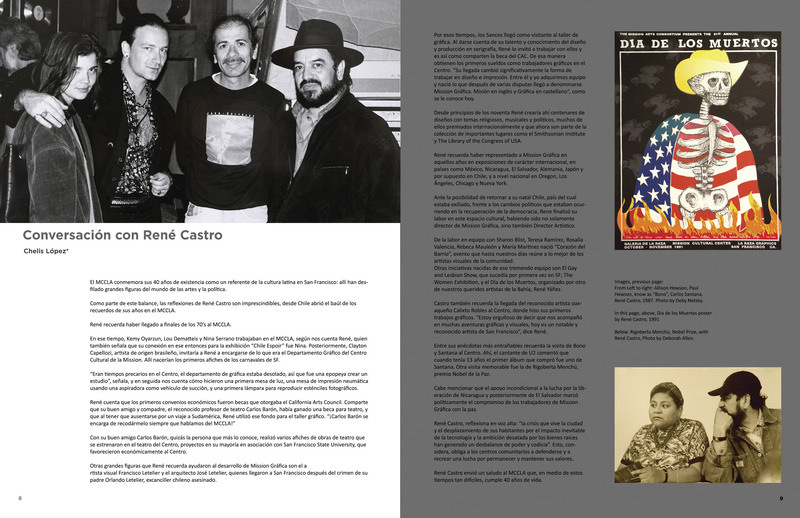 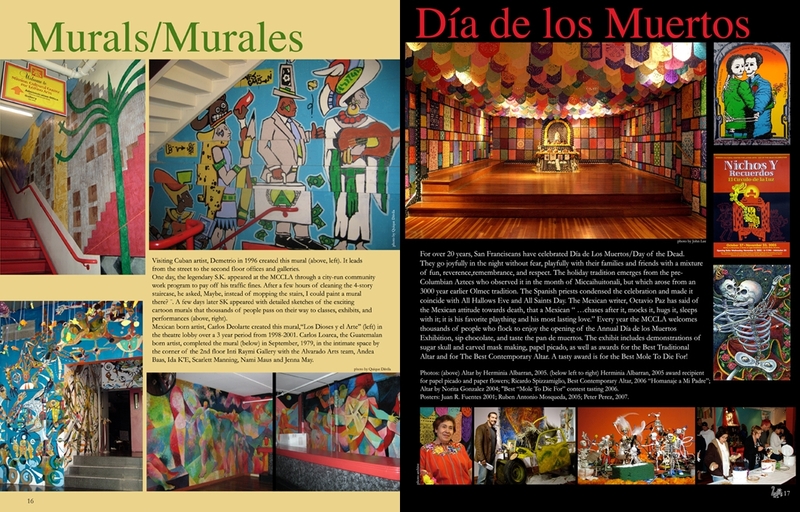 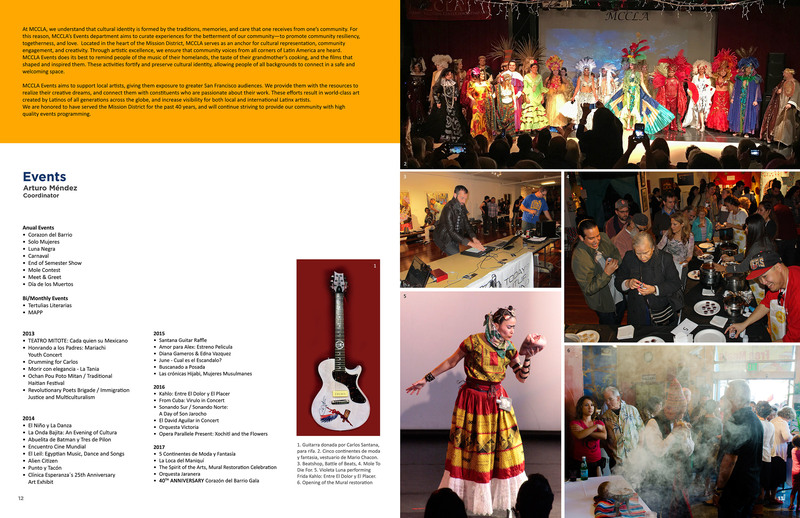 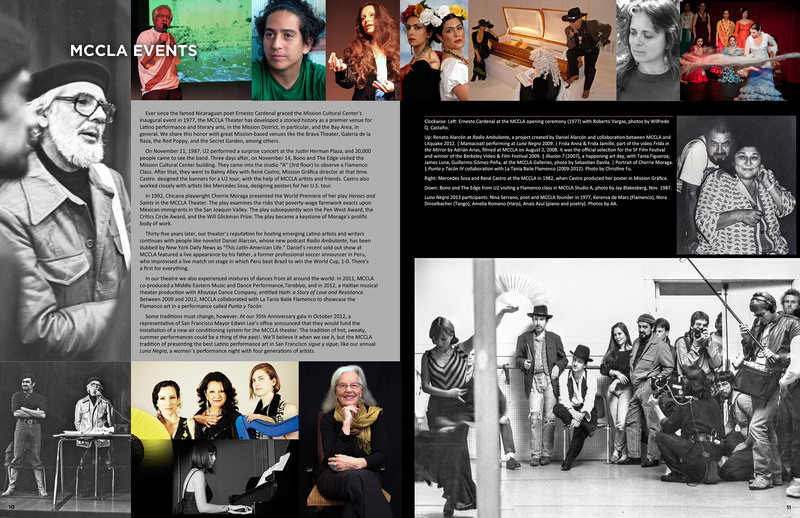 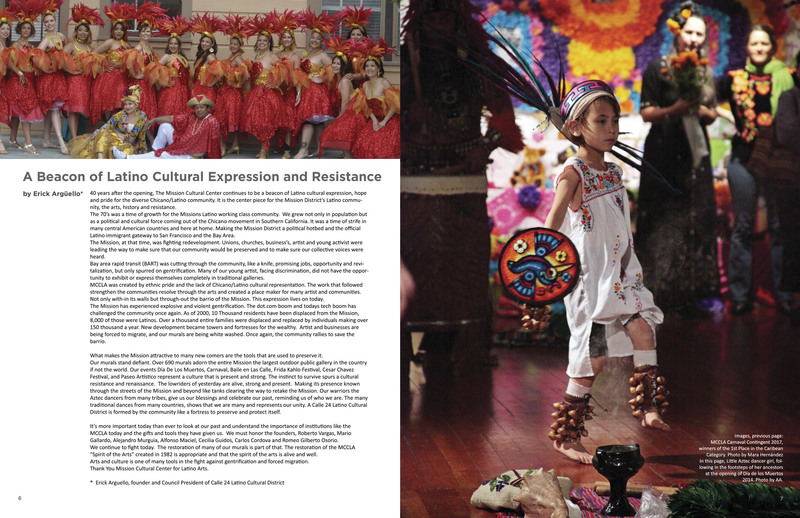 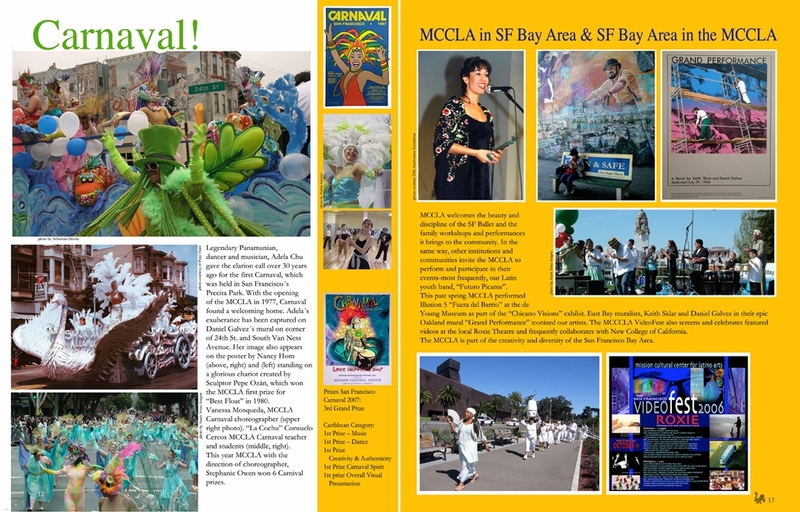 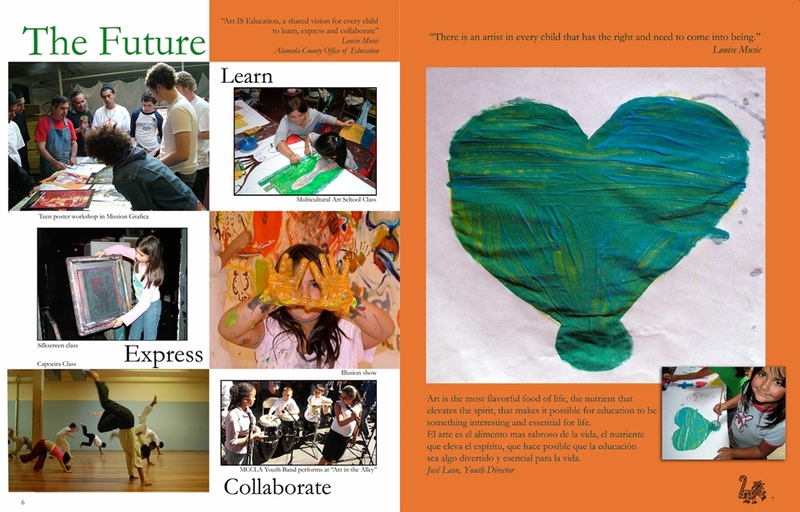 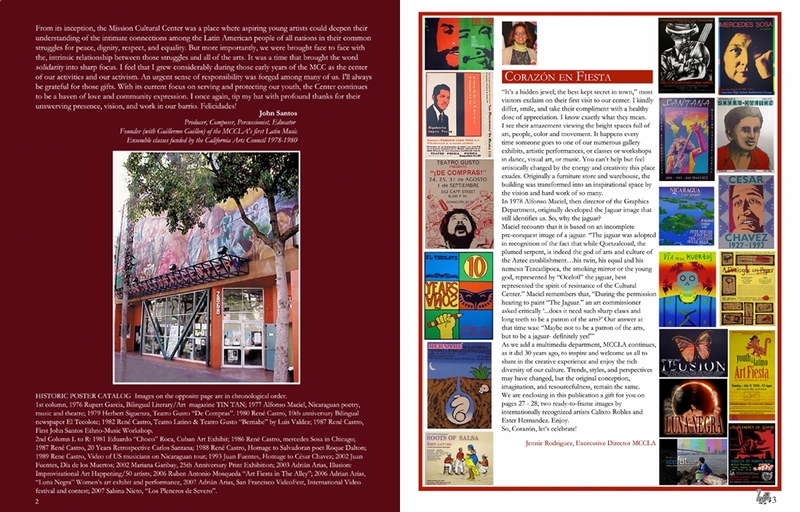 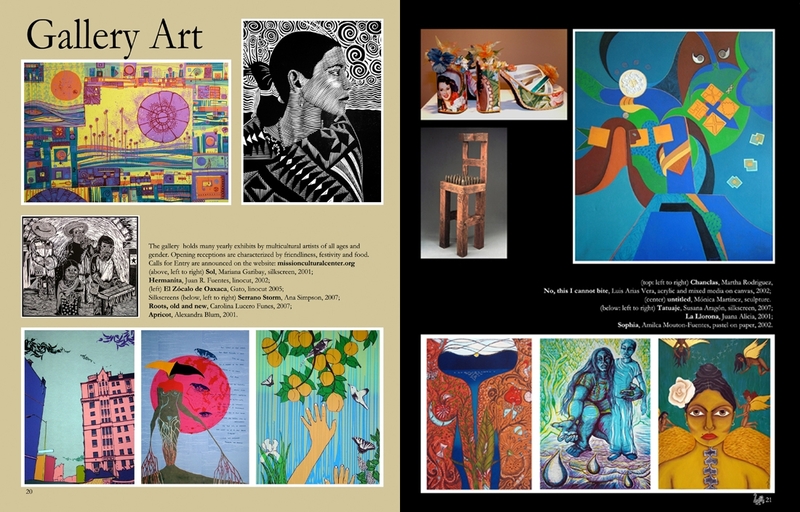 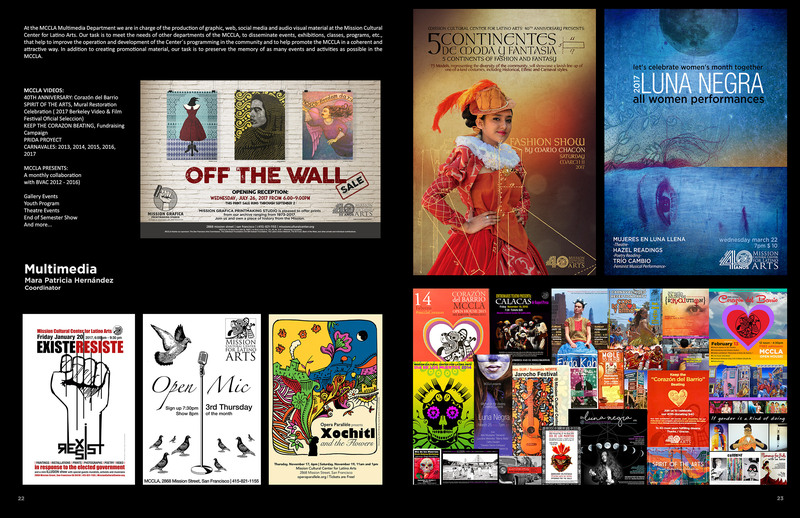 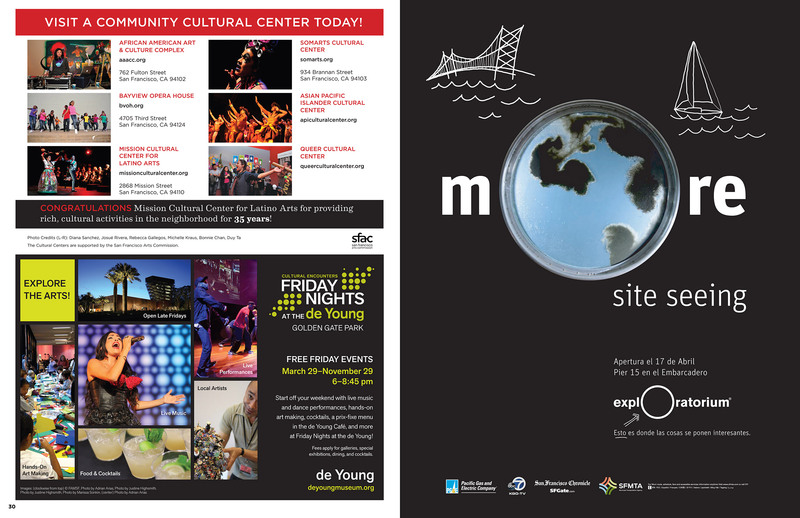 The magazine also includes a colorful snapshot of MCCLA's timeline and history, a description of current programs and cultural calendar, articles, list of supporters and, of course, lots of photos and artwork.